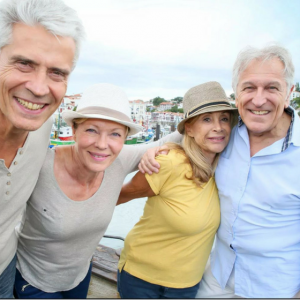 If you or an elderly loved one in your family will be traveling abroad this summer, here are a few key tips you need to know before you go. Planning: Research and plan your trip well in advance. If you are traveling alone or with someone this summer, planning, reserving, and confirming your travel plans – from accommodations to events to special excursions – will reduce unnecessary stress and unexpected issues while away. For example, if you know there is a place you want to visit, and it requires purchasing tickets, get them in advance if possible. Your Passport. Bring extra copies of your passport. If it gets lost or stolen, you want to be sure you can get back into the country or prove your citizenship. Consider leaving a copy of your passport at home with a family member or friend as a backup. Air Travel: When possible, book a non-stop flight. This will reduce your chance of a missed connection and decrease your total travel time. Don’t be shy. Request assistance if you need help navigating the airport or boarding your flight. If you need special services, such as a wheelchair be sure to request and reserve those when booking your flight. Your Health. Have all prescriptions filled in advance of your trip and bring a few extra days-worth of medications in case of any travel delays. Check with your health professional to get appropriate vaccinations before you go. And know where local medical facilities are in the country or city you are going to visit. Remember to stay hydrated, especially if you’re spending long hours on a plane. Money and Credit Cards: Make sure you have some local cash on hand because not all places will accept credit cards. If you are traveling outside of the United States with a credit card, contact your bank in advance to let them know of your upcoming travel so that they don’t suddenly turn off your card as a security measure. Also, check to make sure your credit card is widely accepted overseas and it’s a card with no foreign transaction fees. We especially like this “Advice for Traveling Abroad With Your Credit Card” which was provided to us from U.S. News. Health Insurance: Most people traveling outside of the U.S. believe their health insurance covers them in another country. That might not be the case. When traveling abroad, you may want to buy either a travel medical plan or vacation plan that includes medical emergencies. Also be aware that Medicare coverage is limited outside of the United States. Trip Insurance: Consider purchasing trip insurance when booking your airline ticket. Many travel insurance plans include various coverage like trip cancellation, trip interruption, trip delay, lost or delayed baggage. Trip insurance generally covers your purchases and offers some rebooking privileges if your flight is delayed or canceled. Travel Companions: If you or your elderly loved one wants to travel, but cannot do it alone, consider FirstLight Home Care’s Travel Companion Program. Our extraordinary Caregivers provide care and companionship during your trip. Whether your vacation takes you outside the U.S. or not, our Travel Companion program is designed to make your vacation or family visit as comfortable as possible, with qualified travel companions to accommodate your needs. They can help you get there, get home, and even help throughout your entire stay. If you have other helpful travel tips that you want to share, comment here or join the conversation on our Facebook page.